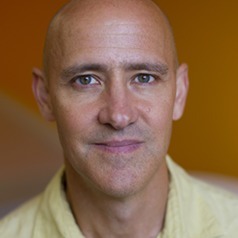 Scott Frickel is Professor of Sociology and a Fellow at the Institute at Brown for the Study of Environment and Society. He holds a Ph.D. from University of Wisconsin-Madison (2000). Before coming to Brown he held faculty appointments at Tulane University and Washington State University, where he was the Boeing Distinguished Professor of Environmental Sociology. His research and teaching interests center on the intersections of nature, knowledge, and politics. A growing feature of his current research involves developing new approaches for identifying and measuring socio-environmental change and developing theories to explain those patterns. He also studies inequality in science and technology and chemical residues as cultural, material, and political objects – both subjects of current book projects. Professor Frickel is the author of five books, mostly recently with James R. Elliott, Sites Unseen: Uncovering Hidden Hazards in American Cities (Russell Sage Foundation and ASA Rose Series in Sociology, 2018) and an edited volume, with Matthew Albert and Barbara Prainsack, Investigating Interdisciplinary Collaboration: Theory and Practice across Disciplines (Rutgers University Press, 2016). He is founding editor of the Nature, Society and Culture book series published by Rutgers University Press.